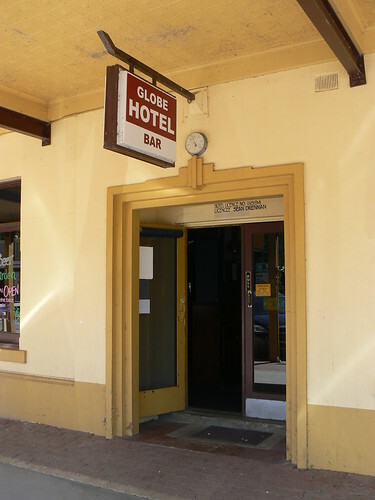 Nice deco doorway at the Globe Hotel in Deniliquin. So glad to find this. My grandparents were married at this hotel in March 1912. Thanks John. Yes the rest of the hotel is older that this doorway which probably dates from the twenties or thirties. Nice that you found a connection.